Welcome home. Now that you're here, sit back and relax knowing you're in good hands. Established in 1917, Korman Residential Properties has provided the highest quality housing in each of its markets. With deep roots in Philadelphia and surrounding areas, the company has always been committed to delivering superior living accommodations, amenities, and services to its residents. Not only does Korman Residential offer traditional apartment rentals but we also specialize in temporary and corporate housing rentals. Korman Residential Properties looks to serve its expanding customer base in the multi-family industry while providing rewarding career opportunities to skilled individuals who share its vision and goals. 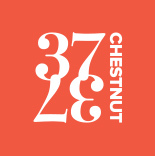 3737 Chestnut was developed in 2015 and officially became Korman Residential at 3737 Chestnut in July 2017. The Korman name has been synonymous with Philadelphia for 100 years, This now includes University City, and will continue growing over time. Established in 1917, Korman Residential Properties has provided the highest quality housing in each of its markets.